23 November / The playground, located at the Uppsala 2 plot on Toomemägi, was reconstructed. The former playground, located behind the Hotel Lydia, was thoroughly renovated in accordance with the reconstruction plan prepared by Ökodisko OÜ. A single rubber safety underlay was installed at the playground, on which an exercise station, stretching wall, jumping platforms and parallel bars were installed. The only piece of sporting equipment remaining at the playground from its previous incarnation is the table tennis table, which was moved to a more suitable location. An information stand, providing instructions on how to properly perform exercises, has also been installed next to the athletic equipment, which allows for a total body workout. 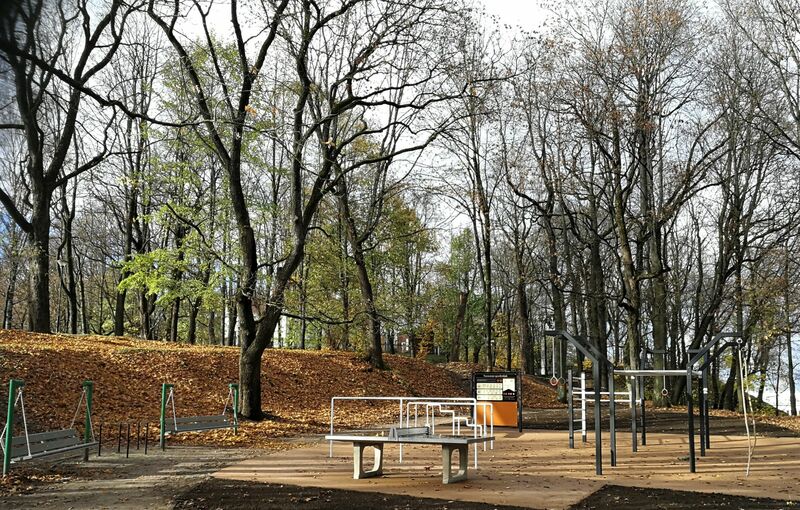 The equipment that was removed from the playground on Toomemägi underwent a thorough renovation and was then installed on the green space on Timuti Street, in the Variku City District.